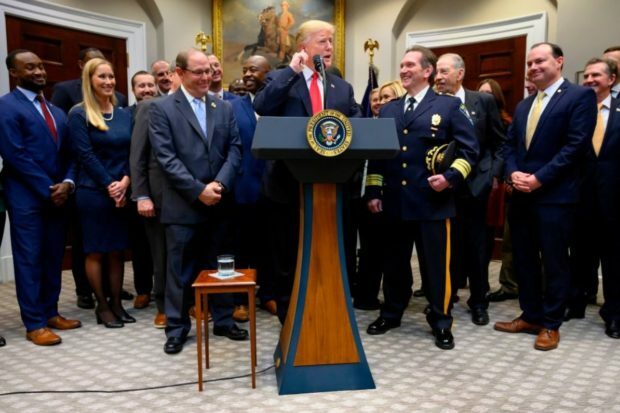 President Donald Trump cracked a joke about the criminal justice reform bill he is supporting being a “bipartisan” effort during a press conference on Wednesday afternoon. The bill Trump supports is titled The First Step Act, which has already passed through the U.S. House of Representatives 360–59 and is currently in the Senate. It addresses both sentencing and prison reform. Laughter broke out throughout the room and it was followed by a round of applause.